We’re passionate about dizziness, balance and hearing health. We can assist on a variety of subjects, from doctor interviews, graphics and information, to locating those on their journey facing dizziness, vertigo and balance-related challenges. We welcome and host news media professionals using many platforms. Newport-Mesa Audiology Balance & Ear Institute is one of the country’s largest practices specializing in the research, diagnosis, treatment and rehabilitation of dizziness, vertigo, balance disorders, tinnitus and hearing loss. The Institute has two locations in Orange County, California in the cities of Newport Beach and Ladera Ranch. The Institute was established in 1977 by Dr. Howard T. Mango, who founded the Institute to address the need for better diagnosis and treatment of acute, undiagnosed or unexplained vertigo, dizziness and balance complaints, and hearing loss. Today, Dr. Mango is nationally renowned for his ongoing work and research on balance and hearing disorders. He is a sought-after, recognized leader in vestibular evaluation and rehabilitation techniques. 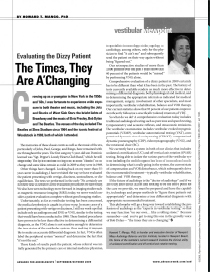 It is not uncommon for dizzy patients to seek counsel from their physician, receive a prescription for some level of therapy, and then search out a provider (likely from a list they were provided) to help alleviate the problem. Often they remain frustrated. 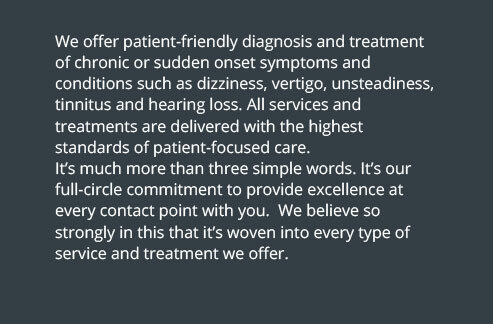 However our doctors of audiology are vestibular specialists, and solely direct all facets with a comprehensive diagnostic approach – from initial meeting through management and treatment of hard-to-diagnose dizziness, vertigo and balance issues. Our doctors use leading medical technology in every level of care and treatment to reduce or eliminate symptoms. This approach has been honed by ongoing, evidence-based clinical research. All clinical staff focus on vestibular (inner ear) disorders where the majority of balance disorders originate. These disorders include the diagnosis and treatment of BPPV, labyrinthitis, vestibular neuritis, migraine and motion sensitivity. Our distinctive approach includes Advanced Vestibular Treatment™ (AVT). 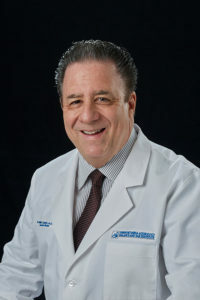 Dr. Howard Mango and his team of doctors of audiology have successfully treated more than 40,000 patients for dizziness, vertigo, balance and inner-ear vestibular disorders using medically advanced therapeutic technologies, techniques and treatments. 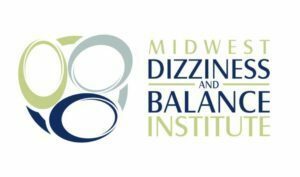 To date, more than 93% of all Institute patients have demonstrated measurable, clinical improvement following personalized dizziness treatment. Using advanced medical technology, training and expertise, Newport-Mesa Audiology Balance & Ear Institute provides non-invasive diagnosis, treatment and rehabilitation for patients of all ages. We offer a highly-advanced medical discipline practiced by our doctors of audiology, who are members and fellows of organizations such as the American Board of Audiology; the American Academy of Doctors of Audiology; American Academy of Audiology; the American Academy of Dispensing Audiology, and the California Academy of Audiology. The Institute is also affiliated with the American Speech and Hearing Association. Our doctors are skillfully trained to custom fit patients with innovative, state-of-the-art hearing devices such as the Bluetooth-enabled Opn™ and the invisible in-the-ear Lyric™. The smallest, most delicate organs in your inner ear work in tandem with each other and hold the keys to your body’s own balance. We have distinction as the only practice of our kind to offer an all-inclusive unique and broad range of diagnostic and therapeutic resources with specialty in difficult-to-diagnose cases. Our clinicians have specialized training and expertise as vestibular audiologists focused on dizziness, vertigo and balance disorders. All hold doctoral degrees from accredited universities, completed post-graduate studies, and actively participate in Institute research. They are licensed; many are board-certified. We have made a multi-million dollar investment in patient health. We equip our diagnostic and treatment team with the latest, most advanced medical technologies to isolate and treat weak or non-functioning portions of the tiny vestibular anatomy of the inner ear. Today, our Institute is the only private practice in the U.S. with 3 EPLEY Omniax® Systems (Epley chair) for treating difficult to diagnose vertigo cases, including BPPV. In fact, we are among only 20 practices worldwide that features this proven technology. It is used to successfully treat all six semi-circular canals of the inner ear, plus all 10 end organs using 360° rotation. Additionally, the Institute is one of only 63 in U.S. to utilize an advanced Neuro Kinetics rotary chair (I-Portal® Neuro-Otologic Test Center) to diagnose and treat vestibular disorders. We are among only 10% of local treatment facilities with the necessary equipment for precise, accurate ASSR testing. We offer the most advanced diagnostic and treatment technology. Advanced Vestibular Treatment™, known as AVT, is a proprietary, highly effective and far superior form of vestibular rehabilitation. There any many forms of therapy. 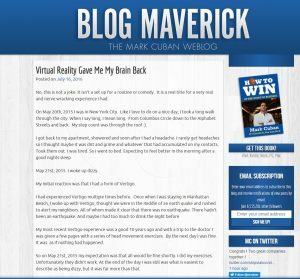 However AVT has shown to outperform traditional vestibular rehabilitation with its lasting results. AVT targets and treats specific problematic areas within the visual, somatosensory and vestibular systems, not merely the vestibular system. It’s about ensuring the highest attention to patient care and comfort. Our primary focus is to permanently improve our patients’ balance and hearing health. An unwavering commitment to our patients sets the Institute apart from others. 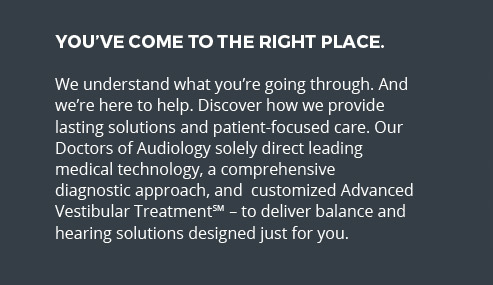 We are committed to the future of Audiology. Our Institute provides highly-coveted externships to select 4th year Au.D. doctoral candidates. Our nationally-recognized program partners with distinguished universities to provide practical and skill-based knowledge and training that integrates scientific research and proficiency into clinical practice. 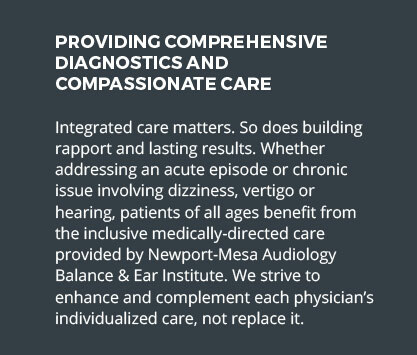 Headquartered in Newport Beach, California, Newport‐Mesa Audiology Balance & Ear Institute is one of the country’s largest specialty audiology practices in diagnosis and treatment of vertigo, dizziness, balance disorders and hearing loss. The Institute has a second location in Ladera Ranch, California. The Institute was established in 1977 by Dr. Howard T. Mango, who is nationally renowned for his ongoing work and research on hearing and balance disorders, establishing him as a leader in vestibular evaluation and treatment. Dr. Mango founded the Institute to address the need for better diagnosis and treatment of acute, undiagnosed or unexplained vertigo, dizziness and balance complaints, as well as hearing loss. The Institute is leading the country in research, diagnosis and treatment of patients with vertigo, dizziness, balance disorders and hearing loss. The Institute utilizes a proprietary approach to diagnosing and treating vestibular dysfunction called Advanced Vestibular Treatment™ (AVT), which is solely directed by doctors of audiology who only specialize in the vestibular system of the inner ear where the majority of balance disorders originate. Modeled after the U.S. Military, the Institute’s team of specialized doctors of audiology and trained staff utilize highly advanced medical technology to restore vestibular health. Supported by millions invested in diagnostic and treatment technology, the Institute’s exclusive, comprehensive approach has provided effective treatment to more than 30,000 pediatric through geriatric patients. 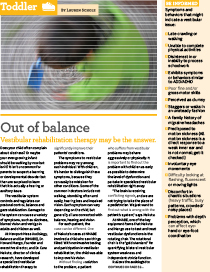 Patients with vertigo and balance deficiencies can be diagnosed and treated in the most cost‐efficient manner possible, eliminating a time consuming, expensive and frustrating course of care experienced by many balance impaired patients. The Institute is also one of the nation’s most well‐equipped audiological facilities, serving an ever‐growing number of adult, teen and pediatric hearing loss cases. The team works closely with neurologists, otolaryngologists, internal medicine and family practice physicians in order to restore balance and hearing to their patients’ lives. The Institute is the only facility of its kind to offer this unique combination of diagnostic and treatment resources. Comprehensive Diagnostic Audiological Evaluation: Includes video otoscopy, tympanometry, acoustic reflexes with ipsilateral and contralateral presentation, otoacoustic emissions (OAEs), pure tone audiometry, speech recognition thresholds, and word recognition thresholds. vestibular nucleus in the brainstem. Neural impulses are then relayed through the vestibulospinal tract to the neck muscles. This test provides critical information regarding the integrity of the saccule and inferior vestibular nerve. 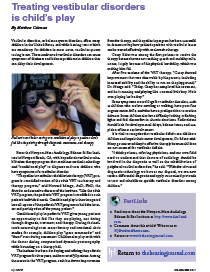 Vestibular Autorotation Testing (VAT): Provides information about the high frequency horizontal and vertical vestibulo‐ocular reflex (VOR); the primary function of the VOR is to stabilize the eyes to allow clear vision during motion, including normal daily life activities such as walking, bending and turning. Computerized Dynamic Visual Acuity Test (CDVAT): Provides additional data regarding the VOR function in the horizontal and vertical planes. Computerized Dynamic Posturography (CDP): A unique assessment technique used to objectively quantify and differentiate the wide variety of possible sensory, motor, and central adaptive impairments of balance control. CDP can identify and distinguish functional impairments associated with certain pathological processes. Videonystagmography (VNG): The VNG is a three‐part evaluation that assesses the inner ear and central functions of the motor system. First is the oculomotor exam which assesses the patient’s eye movements as they follow a moving target. The second part tests patients’ response to various head positions. Last is the caloric test, which independently evaluates (in both ears) the horizontal semicircular canals and parts of the vestibular nerves of each. · Rotational Chair Examination (RC): The advanced Neuro Kinetics rotational chair is the gold standard for quantifying bilateral vestibular system weakness and independent utricle function. It allows thorough assessment of vestibular compensation, and is used to identify central vestibular system disorders in the presence of a normal caloric testing. It is also the preferred method of pediatric vestibular testing. Cochlear Hydrops Analysis Masking Procedure (CHAMP): A modification of the standard auditory brainstem response (ABR) test, CHAMP is used to identify cochlear hydrops or Meniere’s disease. The standard ABR is measured with a click stimulus that activates the entire cochlea. With the CHAMP, the click stimulus is mixed with increasing amounts of high‐pass masking noise. Resulting waveforms provide audiologists with detailed information on basilar membrane response, aiding in accurate differential diagnosis. In addition to being one of the nation’s leading dizziness and balance treatment facilities, the Institute is also a respected provider of audiological evaluation services and hearing loss solutions. In fact, the Institute is among the nation’s most well‐equipped audiological facilities, serving an ever‐growing number of adult, teen and pediatric cases. Patients enjoy private, individualized attention from doctors of audiology, who use the latest resources and technologies to help restore hearing. The mission of the Institute is to help patients permanently resolve their hearing, dizziness or balance disorders. The goal is to return patients to the activity levels they experienced prior to the onset of their illness/trouble/trauma. This is accomplished through specialized ongoing training of our doctors of audiology and the most sophisticated diagnostic and treatment technology available. These elements have made the Institute one of the country’s most inclusive balance facilities. Howard T. Mango Au.D., Ph.D.
Dr. Mango is founder and Executive Director of the Institute; he received his Bachelor’s and Doctoral degrees from the University of Southern California. He also completed post-graduate work at the University of Virginia and the University of Arizona. Subsequently, he taught at the University of Virginia Medical School. Board‐certified in Audiology, Dr. Mango began private practice in Newport Beach in 1977. He has been a leader in the diagnosis and treatment of vertigo, dizziness and unsteadiness, as well as innovative vestibular rehabilitation techniques for treating benign positional vertigo, migraine and motion sensitivity. He has presented numerous programs across the country in the areas of dizziness and balance disorders, as well as hearing loss and extended‐wear hearing devices. Dr. Pearce received her Bachelor of Science degree in Speech and Hearing Science from Arizona State University, and her doctoral degree in audiology from A.T. Still University. Originally from Arizona, Dr. Pearce was appointed to director of audiology at the Institute in 2008. She assists with vestibular and auditory research studies at the Institute and is a member of several professional organizations including the American Academy of Audiology and the California Academy of Audiology. Dr. Pearce holds special interest in neurodiagnostics, vestibular assessment and rehabilitation, and electrophysiology. Dr. Pilgrim received her Bachelor of Science degree in Speech‐Language Pathology and Audiology in 2005 from Bloomsburg University in Bloomsburg Pennsylvania. She continued at Bloomsburg’s Clinical Doctoral Program in Audiology for her Au.D. She is currently conducting research on Subjective Visual Verticality and Horizontality. A New Jersey native, she moved to Newport Beach to complete her doctoral residency at the Institute in 2008 and is now a member of the clinical audiology staff. She holds particular interest in vestibular and audiological diagnostic testing, vestibular therapy and aural rehabilitation. Dr. Ashley Beko received her Bachelor of Science degree in Speech and Hearing Sciences with a concentration in Special Education from the University of Arizona. She continued on to obtain a clinical Doctorate in Audiology from A.T. Still University. A California native, Dr. Beko joined Dr. Mango’s team to pursue her passion in vestibular diagnosis, vestibular therapy, and aural rehabilitation. Dr. Beko is a member of the American Academy of Audiology, and she is currently working extensively on vestibular therapy research. Dr. Jennifer Grace received her bachelor’s degree in speech, language, and hearing sciences at San Diego State University and her Doctoral degree in audiology from Northwestern in Chicago. She is a California native and was born and raised in Orange County. She returned to California from Chicago to join Dr. Mango’s practice as a fellow in 2011 and stayed on as a full time audiologist upon completion of her degree. She is a member of the American Academy of Audiology. She holds a wide range of interests including vestibular research, hearing aid technology, and pediatrics. Dr. Valerie Guzzo received her Bachelor of Science degree in Speech and Hearing Science from University of Illinois Urbana‐Champaign where she graduated in 2009. She then attended Northwestern University’s accelerated Doctor of Audiology program from 2009 through 2012. 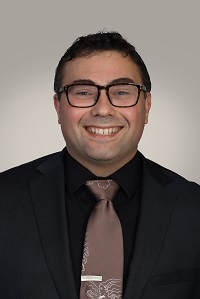 Dr. Guzzo joined the team at Newport Mesa Audiology Balance and Ear Institute in 2013. Dr. Guzzo’s audiologic interests include treatment of pediatric hearing loss, as well as pediatric vestibular disorders. She has a strong background in amplification for the pediatric and adult populations and enjoys clinical research. Dr. Chelsea Nava received her Bachelor of Science Degree in Speech, Language, and Hearing Sciences from San Diego State University, and her Doctoral degree from Nova Southeastern University. She returned to California from Florida to join Newport‐Mesa Audiology Balance & Ear Institute in 2013. She holds particular interests in diagnostic vestibular and balance testing, electrophysiology, and vestibular rehabilitation therapy. She is currently a fellow member of the American Academy of Audiology. Dr. Alison Goren received her Bachelor of Science degree in Communication Sciences and Disorders in 2011 from Syracuse University and her doctorate in audiology from the University of Maryland in 2015. Alison Goren, a Maryland native, moved to Newport Beach to complete her doctoral externship at Newport‐Mesa Audiology Balance & Ear Institute in 2014 and is now a member of the clinical audiology staff. She holds particular interest in vestibular and audiological diagnostic testing, vestibular therapy, and aural rehabilitation. Dr. Jastromb received her Bachelor of Science degree in Communication Sciences and Disorders from Ohio University. 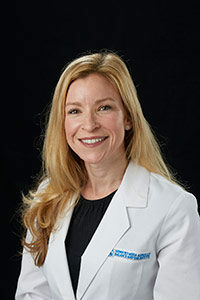 She received her Doctorate of Audiology from the Northeast Ohio Audiology Consortium (NOAC), which confers a collaborative professional doctorate through the Cleveland Clinic Foundation, Kent State University, and The University of Akron. She completed externships at the Cleveland Clinic, as well as the Cleveland Veterans Hospital, before serving her final year‐long externship at Newport‐Mesa Audiology, Balance & Ear Institute and was hired as a member of the clinical audiology staff in 2015. She holds particular interest in vestibular rehabilitation therapy, vestibular migraine and enjoys working with the pediatric population. As many as 35 percent of adults aged 40 years or older in the United States—approximately 69 million Americans—have experienced some form of vestibular dysfunction, such as vertigo, dizziness and imbalance. Eighty percent of people aged 65 years and older have experienced dizziness. One of the leading health concerns for people over the age of 60 is falling. Each year, between 20 and 40 percent of adults over 65 who live at home fall. Older people with chronic dizziness or imbalance are two to three times more likely to fall in comparison with older people who do not experience these problems. The total direct cost of all fall injuries for people 65 and older exceeds $20 billion. Furthermore, vestibular vertigo accounts for one‐third of dizziness/vertigo symptoms in the medical setting. Benign paroxysmal positional vertigo (BPPV), the most common vestibular disorder, is the cause of approximately 50 percent of dizziness in older people and can be diagnosed and treated successfully with no pills and no surgery. Although 86 percent of people with BPPV undergo medical consultation, interruption of daily activities, or sick leave, only eight percent receive effective treatment. In fact, less than 10 percent of dizzy patients are ever evaluated by a specialist, exacerbating the fact that children with treatable vestibular disorders are sometimes incorrectly diagnosed as learning disabled, dyslexic, or psychologically disturbed. It is estimated that upwards of 50% of children with congenital SNHL (sensorineural hearing loss) also have a vestibular loss or dysfunction. Benign Positional Vertigo (BPV) of childhood, a form of early migraine that is the #1 cause of dizziness in infants and young children between one to four years of age. One in every 10 (36 million) Americans has hearing loss. As baby boomers age, this number is expected to rapidly climb and nearly double by the year 2030. The prevalence of hearing loss increases with age, up to one in three over age 65. Most hearing losses develop over a period of 25 to 30 years. Among seniors, hearing loss is the third most prevalent, but treatable disabling condition, behind arthritis and hypertension. While the vast majority of Americans (95 percent) with hearing loss could be successfully treated with hearing aids, only 22 percent (6.35 million individuals) currently use them. Only 5 percent of hearing loss in adults can be improved through medical or surgical treatment. Every day in the United States, approximately one in 1,000 newborns (or 33 babies every day) is born profoundly deaf with another two to three out of 1,000 babies born with partial hearing loss, making hearing loss the number one birth defect in America. Only 69 percent of babies are now screened for hearing loss before one month of age (up from only 22 percent in 1998). Of the babies screened, only 56 percent who needed diagnostic evaluations actually received them by three months of age. Moreover, only 53 percent of those diagnosed with hearing loss were enrolled in early intervention programs by six months of age. When children are not identified and do not receive early intervention, special education for a child with hearing loss costs schools an additional $420,000, and has a lifetime cost of approximately $1 million per individual. Tinnitus is commonly described as a ringing in the ears, but it also can sound like roaring, clicking, hissing, or buzzing. It may be soft or loud, high pitched or low pitched in either one or both ears. In the last year, experts estimate that 22.7 million adult Americans experienced tinnitus for more than three months, which is roughly 10 percent of the adult population of the U.S. The Institute has invested millions to equip its diagnostic and treatment team with the latest, most advanced technologies. Today, the Institute utilizes two of only 19 EPLEY Omniax® Systems in the United States to treat difficult‐to‐diagnose vertigo cases, including BPPV. The Institute also utilizes three advanced Neuro Kinetics rotational chairs to diagnose and treat vestibular disorders, following the advanced approach of the United States Military. Additionally, the Institute features Lyric, the first and only 100 percent invisible extended wear hearing device. The Institute is the only facility of its kind to offer this unique combination of diagnostic and treatment resources. This fact, along with ongoing training and specialized expertise of doctors of audiology, distinguish the Institute from virtually all other institutions. The future plans of the Institute are to continue leading the medical industry in evaluation, diagnosis and treatment of vertigo, dizziness, balance disorders and hearing loss. Furthermore, the Institute’s team of doctors of audiology will continue to provide the medical industry with promising diagnostic and treatment information through the advancement of emerging vestibular and auditory research studies. To date, more than 93% of all Institute patients have demonstrated measurable, clinical improvement following personalized dizziness treatment. Only private practice in the U.S. with 3 EPLEY Omniax® Systems for BPPV treatment. Insurance pre-authorization support; patient services concierge team; complimentary parking; extensive selection of software and hearing devices; certified in Lyric™, Opn™ and Audéo V device fittings; Hearing Aid evaluation and rehabilitation. 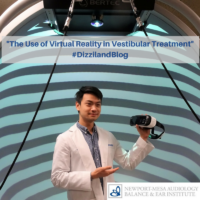 Advanced Vestibular Treatment (AVT) is a highly effective medically-based approach used by our Institute to diagnose and treat dizziness, vertigo, and balance disorders. Successful AVT improves each patient’s overall stability and motor control. Our treatment combines physical and ocular exercise movements that target and develop those weakened response areas. Studies show that customized AVT is significantly more effective in resolving symptoms than traditional vestibular therapy, medication or general balance exercises alone. Founder/Clinical Director Howard T. Mango, Au.D., Ph.D.
Director of Audiology Brooke Pearce, Au.D. Director of Clinical Management and Treatment Jennifer Grace, Au.D. Director of Pediatrics Leslie Guzzo, Au.D. Director of Clinical Research Stacie Pilgrim, Au.D. We are located in 2 easy-to-access locations in Orange County, California. Our Newport Beach location is conveniently located, just south of the CA State Highway 55 Freeway end at Newport Blvd. We are approximately 44 miles/70 km south of Los Angeles. Old Newport Boulevard is a frontage road that runs parallel to Newport Blvd. Enter Old Newport Boulevard at the intersection of Industrial Way x Newport Blvd, and turn right. The institute will be on the left. We are conveniently located near both Hoag Presbyterian Memorial Hospital and Highway 1/Pacific Coast Highway. Our Ladera Ranch location can be easily accessed from I-5 Freeway as well as the 241 Toll Road. We are located in South Orange County, approximately 65 miles/105km north of San Diego. And 100 miles/160km west of Palm Springs. We are minutes from The Shops at Mission Viejo as well as Mission Hospital/CHOC. The Institute is near the intersection of Crown Valley Parkway and San Antonio Parkway. Travel south on San Antonio Parkway and take a left onto Windmill. Corporate Road will be on your right. Dr. Mango receives his Master’s degree in Audiology from the University of Virginia. He joins University of Virginia as associate professor, teaching Audiology for the Department of Otolaryngology. Dr. Mango establishes Newport-Mesa Audiology in Newport Beach. He begins research on the closed loop caloric irrigator. Dr. Mango completes doctoral studies; Ph.D. in Audiology and Vestibular Physiology from USC. Practice name formally changes to Newport-Mesa Audiology Balance & Ear Institute. Institute adds a clinical Director of Research and Director of Audiology. Institute’s website www.dizziland.com goes live. 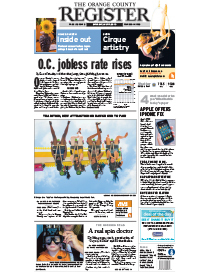 Opens 2nd Institute location in Ladera Ranch. Creates Newport-Mesa Audiology Balance & Ear Institute Channel. Institute announces the addition of its pediatric vestibular rehabilitation therapy program. Institute reports a 99% survey satisfaction rate for patients fitted with the Lyric hearing device. Dr. Mango co-authors research study: static Subjective Visual Vertical and dynamic Unilateral Centrifugation with Subjective Visual Vertical test. Institute adds the EPLEY Omniax® rotational chair system, one of only 16 in the U.S. Creates Newport-Mesa Audiology Balance & Ear Institute-branded social media platforms. Begins informative postings on Facebook, LinkedIn, and Twitter. Newport-Mesa Audiology Balance & Ear Institute You Tube Channel reaches 10,000 views. Launches ‘Making A Difference’ employee recognition program. Dr. Mango and Institute doctors present research, diagnosis and treatment findings on otolith dysfunction and vestibular migraine at American Academy of Audiology national conference. Newport-Mesa Audiology Balance & Ear Institute You Tube Channel surpasses 28,000 views. Founder and Executive Director of Newport‐Mesa Audiology Balance & Ear Institute, Dr. Mango was once an aspiring actor who moved from New York to Southern California to pursue his dream. After enrolling as a student at University of Southern California (USC) and studying acting with “highly gifted actors, such as John Ritter,” Dr. Mango decided it was best to focus on another interest: Anatomy & Physiology. This new passion led him to a Bachelor’s degree in Speech Pathology and Audiology from USC in 1973. Dr. Mango received a Master’s degree in Audiology from the University of Virginia in 1975. He then became an associate professor at University of Virginia teaching Introduction to Audiology for the Department of Otolaryngology. Shortly after, he was offered a job and began working for an Otolaryngologist in Southern California. He began contemplating a private practice, as he thought, “The only way I can ever make money is to work for myself.” Dr. Mango knew he would face adversity with such a decision, because the American Speech and Hearing Association (ASHA) had declared it unethical for Audiologists to dispense hearing aids. Dr. Mango was determined, though, because he had a sense of the direction in which the field was moving and wanted to stay a step ahead. So, in 1977 he purchased his own practice, Newport‐ Mesa Audiology, Inc., from a retiring hearing aid dispenser in Newport Beach, California. At this time, Dr. Mango began research on the closed loop caloric irrigator with Guenter Grams and Dr. Kenneth Brookler, which piqued his interest in the inner ear vestibular system. This was just the beginning, as he embraced the growing field of vestibular testing, getting his Ph.D. in Audiology and Vestibular Physiology from USC in 1991 and rebranding his practice Newport‐ Mesa Audiology Balance & Ear Institute in 1992. He was also one of the first to utilize the Epley Maneuver to diagnosis and treat balance disorders, which was once controversial but now is the broadly accepted standard to manually diagnose and treat vestibular disorders. 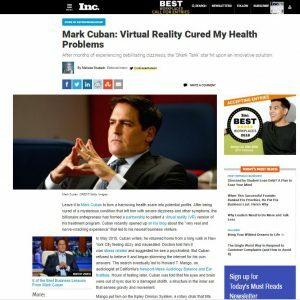 Dr. Mango has never looked back, leading his field in the diagnosis and treatment of vertigo, dizziness and unsteadiness, as well as innovating vestibular rehabilitation techniques for treating benign positional vertigo, migraine and motion sensitivity. 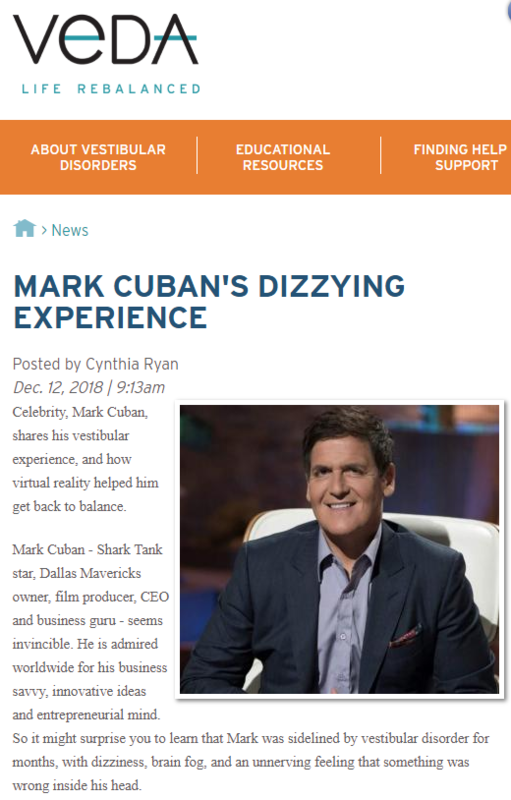 Dr. Mango has pioneered Advanced Vestibular Treatment™ (AVT), the Institute’s exclusive approach of diagnosis and treatment of vestibular dysfunction solely directed by doctors of audiology. Dr. Mango has built his private practice into one of the most comprehensive in the country that can test all ten end organs of the inner ear. The Institute now employs 10 doctors of audiology, three fourth year doctor of audiology students and 14 support staff. Dr. Mango has also presented numerous programs across the country in the areas of dizziness and balance disorders, as well as hearing loss and extended‐wear hearing devices. He is affiliated with the American Speech and Hearing Association, and a fellow of the American Academy of Doctors of Audiology, the American Academy of Dispensing Audiology, and the California Academy of Audiology. Though his main focus has been on balance disorders, Dr. Mango continues his first passion for acting. He recently starred as Tevye in Fiddler on the Roof and has performed in major roles in more than 100 musicals. You could say he has, and continues to, live and provide a “balanced” life. Director of Audiology at Newport‐Mesa Audiology Balance & Ear Institute, Dr. Brooke Pearce received her Bachelor of Science degree in Speech and Hearing Science from Arizona State University in 2004. She then went on to obtain her doctoral degree in audiology from A.T. Still University in 2007. Originally from Arizona, Dr. Pearce advanced her knowledge and research on the vestibular system with several leading institutions, including, the Mayo Clinic, Barrow Neurological Institute of St. Joseph’s Hospital and Medical Center, Phoenix Children’s Hospital and the VA hospital Long Beach. At one time, she considered becoming a pediatrician but instead pursued additional studies of the pediatric vestibular system with a notable Otolaryngologist during her externship. Dr. Pearce moved to Newport Beach, where she did her fourth‐year externship at Newport‐ Mesa Audiology Balance & Ear Institute in 2006 working closely with founder Dr. Howard T. Mango, a renowned leader in the field of audiology and balance disorders. In 2008, Dr. Pearce was named director of audiology at the Institute. Her responsibilities were primarily focused on the diagnosis and treatment of hearing disorders among patients of all ages. However, she found that 60 percent of the Institute’s patients are treated for vertigo and dizziness caused by vestibular disorders. This led Dr. Pearce to begin assisting with vestibular and auditory research studies and to become especially interested in vestibular assessment and rehabilitation, neurodiagnostics and electrophysiology. Today, as Director of Audiology, Dr. Pearce provides oversight to the Institute’s clinical teams and programs. She co-directs vestibular and auditory research studies at the clinic. This experience has positioned Dr. Pearce as a leading expert in Vestibular Rehabilitation Therapy, which includes diagnosis, treatment and rehabilitation of dizziness and Tinnitus (ringing in the ears). Audiology is the science of hearing and hearing disorders. But it’s much more than that. Audiology serves an important role in our lives. Today’s field of audiology also considers the millions of people in the United States and abroad who suffer from dizziness, vertigo and balance disorders, as well as hearing loss and tinnitus. Over a period of 30 years, the field of audiology has made huge strides in not only understanding the underlying causes of these widespread conditions, but through the development of advanced medical technology used to diagnose, treat and rehabilitate the patients who suffer from them. A select number of skilled audiologists, also known as doctors of audiology, are medical professionals dedicated to the diagnosis and rehabilitation dizziness and balance disorders. This subspecialty focuses on balance disorders with symptoms such as dizziness and vertigo. Our doctors of audiology are also highly-qualified vestibular specialists, expertly trained to diagnose, manage, and treat both hearing and balance problems. The field of audiology has evolved from a technical specialty of hearing loss screening and hearing aid fitting to what is now a highly advanced medical discipline practiced by doctors of audiology who non-invasively diagnose, treat and rehabilitate patients from pediatric to elderly. Doctors of audiology understand physiology and anatomy from the top of the head to the tip of the toes – and all points in between. Primarily, audiology practices receive referrals from and collaborate with a broad network of physicians, including neurologists, otolaryngologists, internal medicine, cardiologists and family physicians. Doctors of audiology may work in various settings, such as hospitals, schools, speech and hearing centers, alongside ENT doctors, and at private audiology practices, such our Institute. All Newport-Mesa Audiology Balance & Ear Institute staff doctors of audiology have their Au.D. designation, and are skilled to treat adults and children of all ages. Doctors of audiology perform hearing tests, diagnose conditions and recommend a course of treatment. They are trained to inspect the eardrum with an otoscope, perform earwax removal if necessary, conduct diagnostic tests, and check for medically-related hearing problems. The audiologist also performs additional testing to identify and diagnose disorders and conditions of the auditory and vestibular systems of the ear. They recommend a course of treatment and closely monitor it. Additionally, they are extensively trained to evaluate and treat people with hearing loss. It’s natural to want a ‘quick fix’ for hearing concerns. It’s important to see a doctor of audiology, not merely a hearing instrument specialist. Doctors of audiology have a great deal of education are trained at the doctorate level. They can see the broader scope and can diagnose or rule out any medical concerns in the ear that may be affecting hearing. 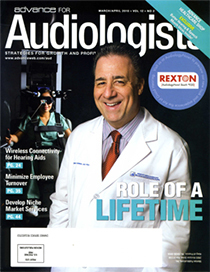 Audiologists are doctors, not just individuals trained to sell hearing aids, and they are uniquely qualified to match patients with hearing aids that best fit their needs, rather than a certain brand. You deserve nothing less than the best and your experience should reflect that. Audiology professionals are focused on their patient’s needs – whether that be to restore balance, reduce hearing impairment or assist their ability to more effectively communicate with others. At the end of the day, no matter how hearing health is measured, we want our patients to feel vital and fulfilled, enjoy social participation, connectedness and well-being. For many patients, Advanced Vestibular Treatment™ (AVT) offers new hope for living a safe and dizzy free life. AVT is a proven, personalized approach that is frequently more effective in resolving vestibular symptoms than other options. AVT is our medically-based approach exclusive to our Institute and is the only program of its type solely directed by doctors of audiology – as our audiologists are vestibular experts. AVT is used to diagnose and treat dizziness, vertigo and balance disorders. This proven and personalized program is significantly more effective in resolving vestibular disorders than traditional therapy options, medications or general balance exercises alone. AVT is often more effective than non-targeted PT (physical therapy) or OT (occupational therapy) exercises because it targets and treats specific problematic areas within the vestibular system and how they correspond with the visual, somatosensory and neurological systems, not merely the somatosensory system. AVT stems from years of evidence-based research, and Newport-Mesa Audiology Balance & Ear Institute has been leading research in this area for years. 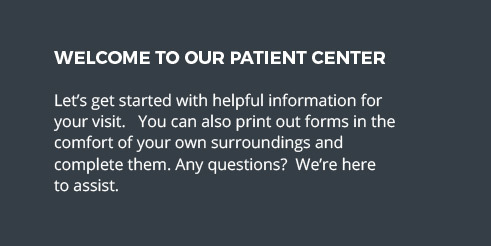 AVT is individualized specifically to each patient’s needs and treatment plan. Select AVT programs may also involve a customized, home-based exercise option. Treatment is provided by our doctors of audiology. All of our doctors are specialists, focusing their work and research on the vestibular system of the inner ear. Physical therapists do not. Nearly 50 percent of people in the United States will experience balance disorders and vertigo sometime in their lives. In fact, dizziness is the third most common complaint in the primary care setting among the general population and the most frequent reason for seeing a doctor among people ages 75 and older. Accordingly, balance related falls cause over 250,000 hip fractures a year among individuals over age 65 and account for more than one-half of the accidental deaths among the elderly. Overall, the cost of medical care for patients with balance disorders exceeds $1 billion per year in the U.S. Furthermore, vestibular vertigo accounts for one-third of dizziness/vertigo symptoms in the medical setting. The most common vestibular disorder, Benign Paroxysmal Positional Vertigo (BPPV), can be diagnosed and treated successfully with no pills and no surgery. Although 86 percent of people with BPPV undergo medical consultation, interruption of daily activities, or sick leave, only eight percent receive effective treatment. In fact, less than 10 percent of dizzy patients are ever evaluated by a specialist, exacerbating the fact that children with treatable vestibular disorders are sometimes incorrectly diagnosed as learning disabled, dyslexic, or psychologically disturbed. Recent studies indicate pediatric hearing loss may affect as many as 15% of children. It is estimated that upwards of 50% of children with congenital SNHL (sensorineural hearing loss) also have a vestibular loss or dysfunction. Benign Positional Vertigo (BPV) of childhood, a form of early migraine that is the #1 cause of dizziness in infants and young children between one to four years of age. Nearly 50 million Americans have hearing loss. As baby boomers reach retirement age starting in 2010, this number is expected to rapidly climb and nearly double by the year 2030. The prevalence of hearing loss increases with age, up to one in three over age 65. Most hearing losses develop over a period of 25 to 30 years. Among seniors, hearing loss is the third most prevalent, but treatable disabling condition, behind arthritis and hypertension. While the vast majority of Americans (95 percent) with hearing loss could be successfully treated with hearing aids, only 22 percent (6.35 million individuals) currently use them. Only 5 percent of hearing loss in adults can be improved through medical or surgical treatment. Every day in the United States, approximately one in 1,000 newborns (or 33 babies every day) is born profoundly deaf with another two to three out of 1,000 babies born with partial hearing loss, making hearing loss the number one birth defect in America. Only 69 percent of babies are now screened for hearing loss before one month of age (up from only 22 percent in 1998). The World Health Organization raises concerns for our aging population, as it’s believed 1 in 5 teens today has hearing loss. Of the babies screened, only 56 percent who needed diagnostic evaluations actually received them by three months of age. Moreover, only 53 percent of those diagnosed with hearing loss were enrolled in early intervention programs by six months of age. When children are not identified and do not receive early intervention, special education for a child with hearing loss costs schools an additional $420,000, and has a lifetime cost of approximately $1 million per individual. We extend our thanks to Hearing Health Foundation for creating this infographic. Tinnitus is commonly described as a ringing in the ears, but it also can sound like roaring, clicking, hissing, or buzzing. It may be soft or loud, high pitched or low pitched in either one or both ears. In the last year, experts estimate that 22.7 million adult Americans experienced tinnitus for more than three months, which is roughly 10 percent of the adult population of the United States. 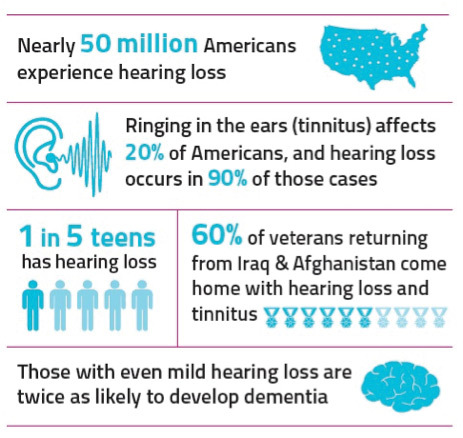 In fact a large population of U.S. military personnel is diagnosed during or post-career with hearing loss and tinnitus. Despite its prevalence, many patients and healthcare providers are unaware that tinnitus is treatable. This means many people who could benefit from treatment are not aware of successful new treatments, such as Neuromonic Tinnitus Treatment, which is considered by many experts to be a breakthrough in the field. We’re providing links to information on dizziness, vertigo, balance disorders, hearing loss and mild-traumatic brain injury may be useful as you develop stories that pertain to these topics. We welcome your direct inquiries should you need any additional information, or wish to talk with us regarding our clinical research program. Dizziness Health Article: Demographics, etc. How many people have vestibular disorders? How does it affect their quality of life? How do vestibular disorders affect the health care system? What is the most common form of vertigo? How many people have Meniere’s disease? Survey Suggests Higher Risk of Falls Due to Dizziness in Middle-Aged and Older Americans: Millions unaware of danger from vestibular dysfunction; diabetes a risk factor, along with age. What causes dizziness vertigo? : Additional statistics about dizziness/balance disorders. Dizziness: Definition, description, vestibular system, peripheral vestibular system, etc. What is the anatomy of the vestibular system and how does it work? Benign Paroxysmal Positional Vertigo: Introduction – background, Pathophysiology, frequency, clinical – history, physical, causes. What is Benign Paroxysmal Positional Vertigo (BPPV)? What are its symptoms and causes? How is it diagnosed? How does Johns Hopkins treat it? Thank you for your interest in dizziness, vertigo, balance disorders and our Institute. We’ll do our best to accommodate and answer questions. We also provide interviews and tours upon request.